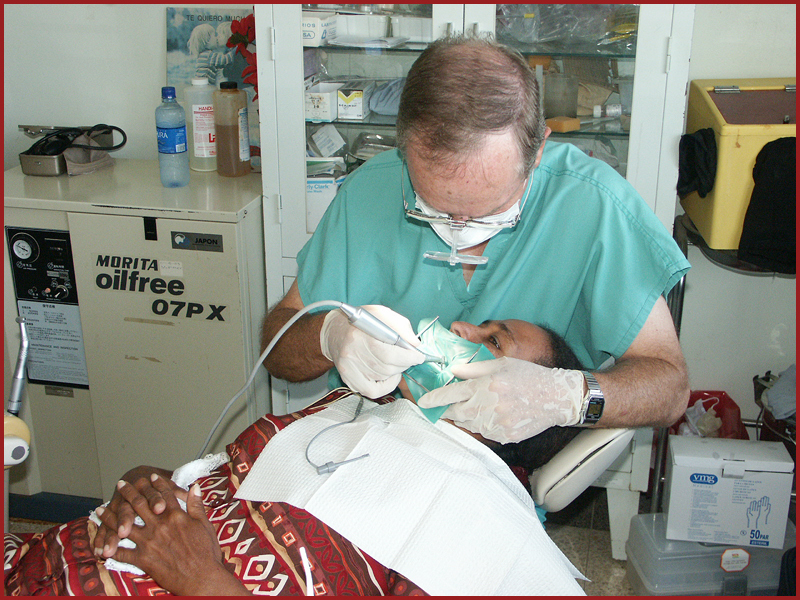 Our goal is to provide dental care to the poor and needy who do not have access to professional care. Our purpose is to establish enough working space to accommodate all those who desire to have the mission experience to help the poor of Granada. Also, to establish an important source of income and training for the newer dental school graduates of Nicaragua. 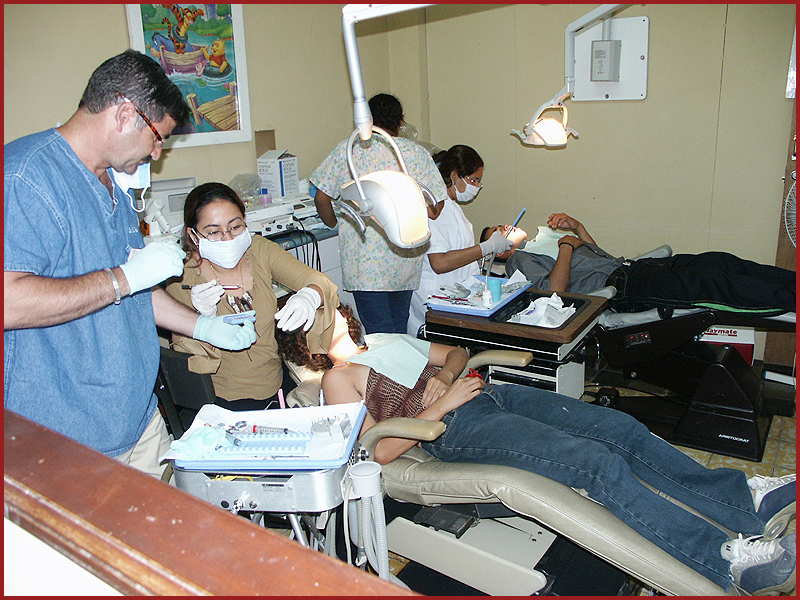 The dental clinic at Acuna Matata established in 1998, was staffed two days per week by two dentists from Granada. Patients were treated, a preventative program was established, and one of the goals was to teach endodontics and other specialty procedures to Nicaraguan dentists. In 2004 the building suffered greatly from earthquake damage so the facility was relocated to a new site. The Bill Wayman Clinic located in La Capullo at Our Lady of Fatima Church Parish was opened in May 2005 as a full service clinic. This community-based clinic has two full time dentists who see patients five days a week. The clinic has three operatories and is air conditioned. The St. Carmen Clinic opened in May 2006. It is also a community-based clinic. A pre-fab house was donated for the clinic and was completed and opened for business May 14, 2006. It has three operatories and is a full service clinic. Unfortunately, the autoclave that was donated arrived in damaged condition. This clinic is now closed. On a day-to-day basis it is necessary that some minimal charges be issued per patient so that we might provide trained dental assistants for the doctors and provide the basic utilities necessary to keep the clinics in operation. No child under the age of twelve will be refused treatment because the parents do not have the funds to provide that service. When Cristo Sana missionaries are working the clinic, the services are offered free of charge. All equipment and supplies for these clinics have been donated by dentists throughout the United States then shipped to Granada to be used for the good of its' people. The clinic is operational year round and supported by donations. Help sponsor a dentist today!